I know it’s close to the middle of November already, but here’s the October recap…. 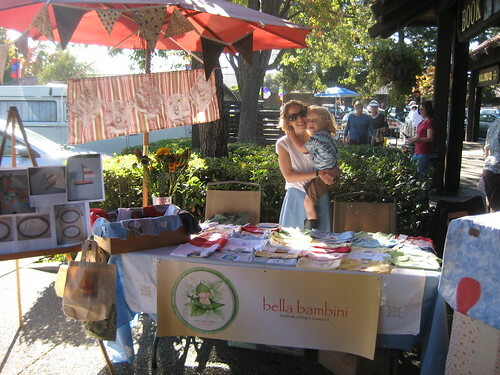 I’ve been working on getting ready for my first real craft fair so I’ve been putting bloggingoff to the side. So, Fall is my favorite season, I just love the smells, colors, energy in the air, everything. This is the time of year when I miss living in the Chicago area/Midwest, because it is just so beautiful and you get that warm fuzzy feeling inside. 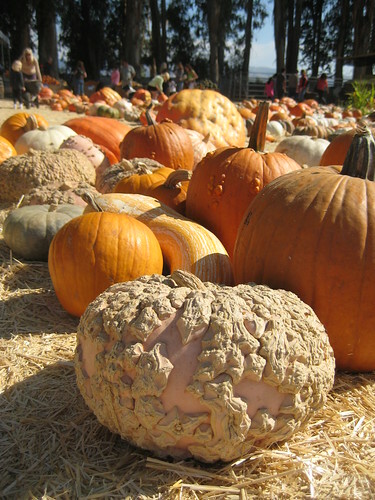 Anyways, October was spent going to pumpkin patches. We made it to a few with the family and then Ryder even made it to another one with his school. It was a bit warmer than I would have liked during the month – you know it should be kinda cool and crisp- but it still was beautiful. 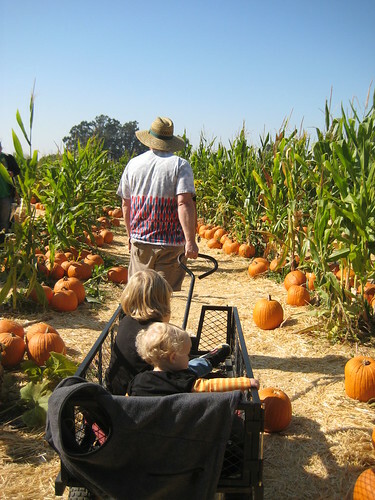 We found some really great pumpkins and climbed lots of hay pyramids and had lots of fun. 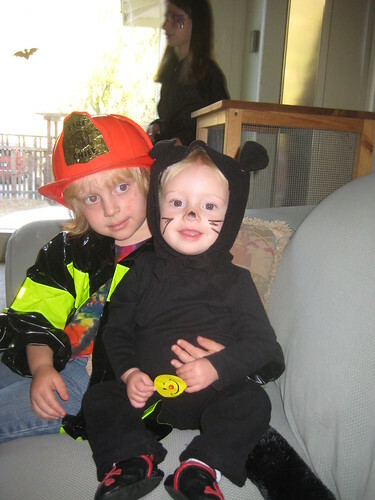 So Ryder insisted on being a firefighter and Saige was a black cat. So since Ryder already had his Dad’s firefighter hat from Doug’s childhood (and hasn’t taken it off since he got it from Grammy Kathy about 2 months ago), we just needed to find a coat- luckily we found one at the thrift store- perfect! I made a kitty hat and tail for Saige and we were set. We carved our pumpkins the night before and went trick or treating with his best bud and had a blast! The Halloween Fairy came a couple nights later and left a few books in place of the candy. 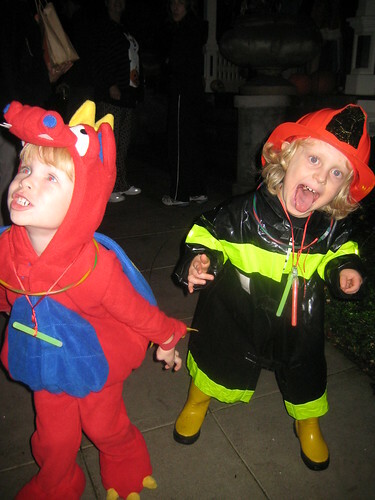 I recommend the Halloween Fairy come visit your little ones in the future- great way to get rid of the candy. Ryder even wrote her a letter and asked for her to leave 2 pieces (which is totally fine). We had our first rain (since I’d say March- give or take) on Halloween and again the next day- we actually had a break in the rain for trick or treating (and the weather actually made it even better). So by Sunday we were a bit anxious to get back out so we headed up North for a hike in one of our favorite spots. 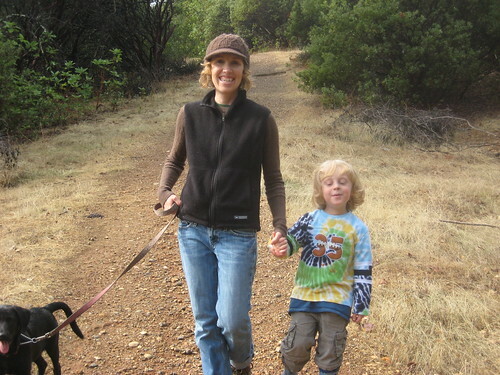 A little hike we used to do with Wanagi when we lived up in Healdsburg at Lake Sonoma. So we took the kids and Milo and headed out. It was so wonderful- it’s so great to be out after a rain- it’s like everything is taking a big drink. The smell of the earth is so pungent- it’s just wonderful. And it was perfect because it was dia de los muertos (day of the dead) which is a day to honor our loved ones who have passed. I had intended on creating a little shrine this year (but it didn’t quite come to fruition) so our hike was in honor of our beloved Wanagi. It was definitely sad to be there without him, but Milo sure enjoyed himself – the torch has been passed. In between all of that, I plugged away at my craft, sewing blankets, getting business cards, hammering out the details (mainly a lot of sewing). And it all ended in todays craft fair. Which was fabulous! I had a great time and am jazzed for the next one. Now I have a few weeks to get a couple wall hangings done and there’s a possibility I may be selling my shirts in one of the boutiques in town (the owner took my card and we are making an apointment to talk! I hope it goes well). So there we have it. Hope October was spooktacular for all of you too (sorry had to be a cheeseball with that phrase). Wow! It seems like I haven’t written in forever! I think it’s been about a month. It’s been a whirlwind around here. We got back from Chicago and then it was Saige’s first birthday, my in-laws came for a week or so, we went to Monterey, then it was Ryder’s 4th birthday (about 3 party’s- one withthe grandparents, one on his actual birthday and then the one with his friends this weekend). Oh yeah, and as if we didn’t have enough going on, we adopted a black lab puppy today! So I am back (in case any of you were concerned). I have missed my blog, I have been blogging in my head- I just haven’t had a moment to actually sit down and type. Let’s hope life slows back down again. It seems to go in waves. And this past month I felt like a big wave surfer! I didn’t wipe out, but I am ready to just hang on the beach and watch the others ride for awhile. Hope life has treated everyone good, I hope you are all as excited as I am that Fall is here! Today was a perfect fall day in Northern California (maybe a bit warmer than I would like) but it was crisp and cool in the morning, the sun was out and there was just a certain energy in the air. I love this time of year, I can’t wait for a little cooler temps. This is the perfect time to get out and explore and watch the colors explode around you. I can’t wait to get the kids and Milo (that’s the new pup) out for hikes.